Twenty-four runners began Day 2, and 18 would head home with heavier pockets. Quin put his stack at risk early and he got off to a nice start when he shoved over a raise from Friedman and was called by Adam Simoneaux in the blinds, who had . Quin's pair stood unimproved on the run out, and he was in business with 30 big blinds. Just before the bubble burst, Quin doubled up again when he called Friedman's shove on a flop and with and held against . Remaining players were assured of payouts when Adam Lamphere bubbled out in brutal fashion, losing with all in preflop against Wunstel's when the latter hit a set on the river. Friedman, who entered the day as the overwhelming chip leader, was eliminated in 14th after a steady decline saw him shove his last 78,000 in with and run into Rufus Yates' . 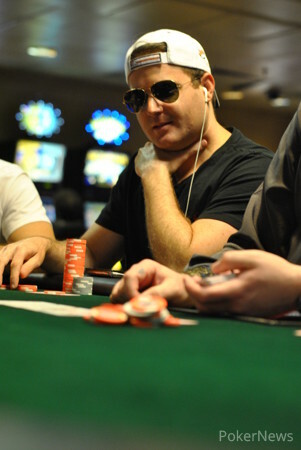 Wunstel was also a casualty on the way to the final table, bluffing his way out in 12th to leave a mostly anonymous final 10 after the elimination of Wade Smith. During Level 21 (6,000/12,000/2,000), things really got rolling starting with the elimination of Frank Alpandinar in seventh. Quin then got dealt a big hand at the right time, as he picked up when Rufus Yates shoved all in with . A set on the flop and a brick on the turn was all she wrote for Yates, and Quin claimed another victim moments later when Broderick Scott jammed and couldn't hold against Quin's . With half of the chips in play four-handed, Quin strengthened his lead by calling the shove of David Chocheles with and flopping a six against . 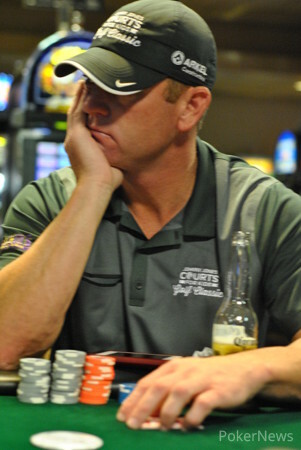 Randy Landry was the next to send his stack to Quin when he shipped about 250,000 on the button with , only to have the chip leader wake up with in the blinds. A clean run out later, heads-up play began with Quin holding a laughably massive chip lead. It was all over in two hands, as the came up big again for Quin when he made quads all in preflop against Day 1a leader Garrett Theriot's . 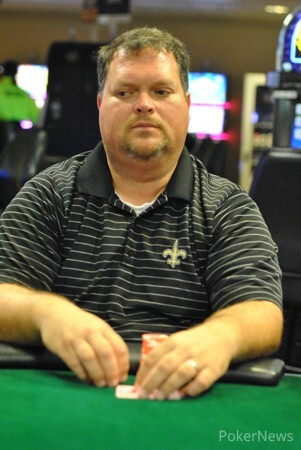 Garrett Theriot moved all in from the button for about 200,000, and Jeff Quin called. The race was on, and it was Quin taking the lead on the flop, though Theriot picked up a straight draw. The turn kept Theriot needing a five and a three, but the river gave Quin the tournament win in style with quads. Randy Landry shoved all in from the button, and Jeff Quin put him at risk from the small blind. "Sorry, I folded an eight," Garrett Theriot said. The board ran out , and the one-outer didn't show up. Randy Landry raised to 58,000 from the small blind and was called by Jeff Quin. Landry bet 45,000 on the flop, and Quin raised to 115,000. Landry called, then checked the . Quin bet 180,000, and Landry took about four minutes before calling. He checked dark and the hit. Quin showed , and Landry couldn't beat it. David Chocheles shoved all in under the gun for 208,000, and Jeff Quin called in the big blind. 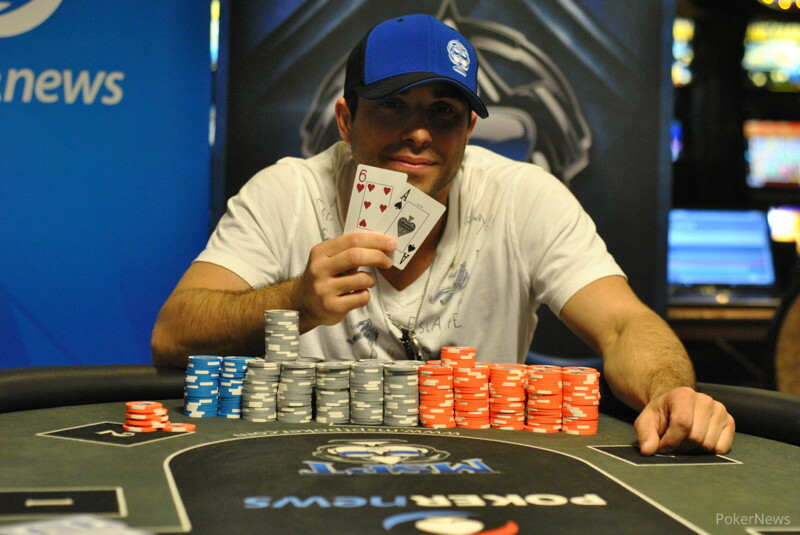 Chocheles had a decent chance for a chop, but the flop gave Quin a leading pair. The turn helped Chocheles, but the river wasn't enough. Jeff Quin raised to 35,000 on the button, and Garrett Theriot three-bet to 75,000 in the big blind. Quin called, and Theriot fired a big bet of 15,000 on the flop. Quin announced he was all in almost before the bet was even in, and Theriot tanked for about five or so minutes before folding.